Roofs take a beating. Think it. They sit in the scorching hot sun all summer long are exposed to the most intense torrential downpours thrashing winds. if your house is older, your roof has been sheltering your home for numerous years, it could be even more susceptible to damage. Do you think your roof has been damaged by wind, hail, or fallen debris? Don’t worry, we have over 15 years of experience in finding repairing damaged residential roofs. We suggest that you inspect your roof for possible damaged areas periodically. These are all indications that you may have damage elsewhere that can’t be seen you should find an experienced qualified roof inspector to assess the damage. It’s easy to let these things go, but if you don’t handle it soon, it could lead to larger and more expensive problems later on down the road. If there is a leak, it could lead to serious damage to your home’s interior walls, insulation, ceilings and even your electrical system! Make sure that you call someone who is licensed, insured, and bonded because they will be climbing on your roof, and that is a big enough liability. The answer is simple; Davis Contracting! We are certified, licensed, bonded, and insured and offer FREE Roof Inspections. So, whatever nature throws your roofs way, we will be there to remedy the aftermath. Don’t risk serious damage to your home! Don’t wait to find the water damage. A proactive approach is often the most profitable! 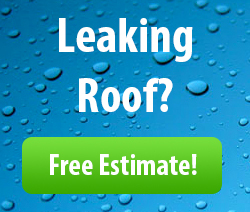 If you are even a little concerned or have had bad weather recently or have seen something unusual on your roof, give us a call right now at (864) 501-5208 for a free estimate to schedule an appointment for a FREE roof inspection. At Davis Contracting, our experienced qualified roofing are ready to help. Or, if you’d rather reach us via your keyboard, send us a message with over at our Contact Us Page.